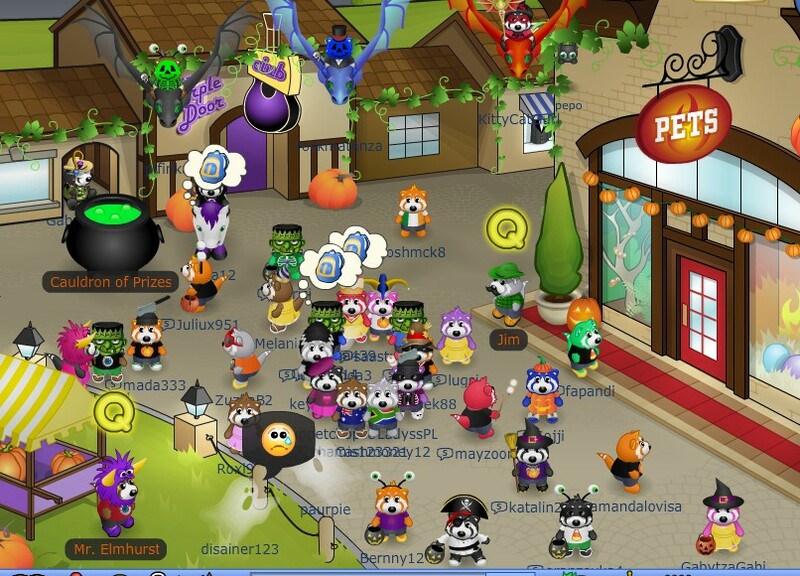 Pandanda - Henry's Blog: It's Time for Pumpkin Festival! It's Time for Pumpkin Festival! 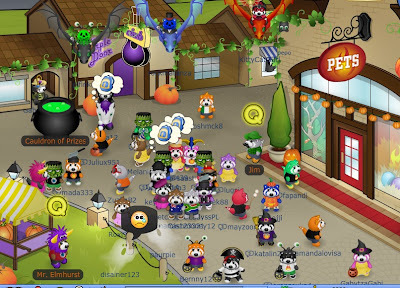 Check out all the pandas in their Halloween costumes visiting the Cauldron of Prizes. Yes, the Pumpkin Festival is in full swing in Pandanda Land. There are so many cool things to see and do! The Pandanda citizens had decorated with pumpkins and vines, and you can hear spooky music and sounds in many rooms as you travel around Pandanda. They have even somehow managed to make it always night time - not the darkest night, but just dark enough to be a little spookier! A magic mirror has appeared in Bear Hollow. I wonder what happens if you walk up to it? And make sure to visit Draco the Ghost in the Parlour. He has some Quests for you to complete. You will also find that some of the other Quest givers have some special Halloween Quests for you. You will want to pick up all of the Halloween Candy you see laying around Pandanda. Then you can visit the Cauldron of Prizes in West Market Street to trade your candy for its awesome prizes. Yes, Black Panda Paint is back this year, and it is available to everyone, Elite members and non-members alike! The House and Tree Catalog has been updated, including a couple of mysterious wallpapers for your treehouse, and some spiderwebs, too. And Farmer Ned still has a collection of jack-o-lanterns for sale. So get in there and decorate your treehouse for Halloween! Oh yeah, I almost forgot! There is a secret prize hidden for you somewhere in Pandanda! If you have trouble finding it, ask other players. 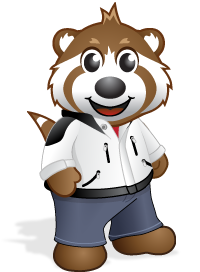 You might even find some help by visiting the blogs in the Official Pandanda Blogroll!